Es Pujols is a very popular beach equipped with beach umbrellas, sunbeds and bars. Some parts of it are &qout;free" even though no beach here is completely private. 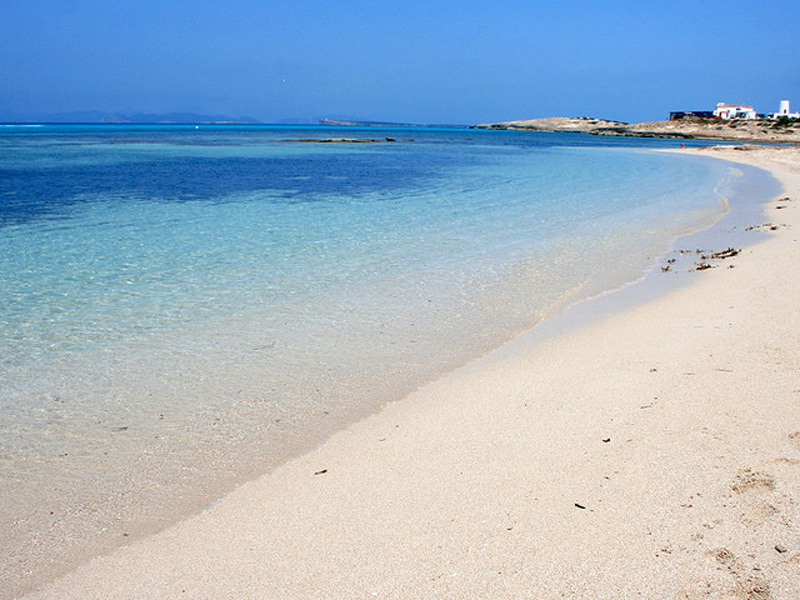 In front of the left part of the beach of Es Pujols there is a small island which is very close to the shore: swimmers will have no problem in reaching this small island if they want to sunbathe in a more quiet area. On the right side of the beach it's possible to take a path that will lead to the tower of Punta Prima and not far from here there is natural cave where it is possible to dive from. Es Pujols also includes Sa Roqueta, a small area with some houses and hotels. The beach here is particularly beautiful: part of it has rocks overlooking the sea but most of the beach is made of white sand which makes the bright colour of the sea even more intense and more mesmerizing. Presenting itself with a stripe of fine white sand, Platja Llevant has remained largely unexploited. It has not yet seen much of tourist developments and this is of course what makes this beach exceptional. A tiny beach north of the Trucador Peninsula. Following the path which leads from this tiny stretch of coast and that from Platja Llevant leads to a parking lot, you will find the two islets that have given the name to Platja Illetes: Pouet and Rodona. During high season this beach is one of most popular on the island and it offers the possibility of renting all the necessary equipment needed for windsurfing. 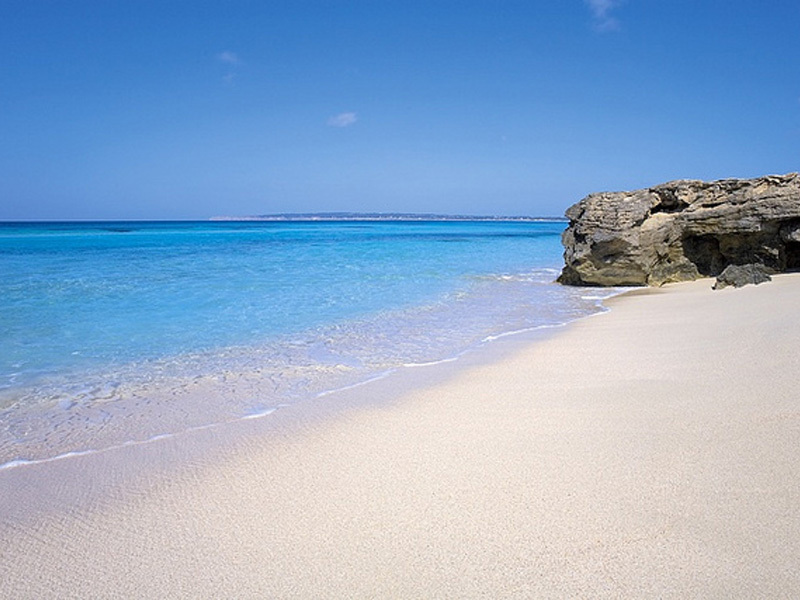 This beautiful beach with golden sand extends for almost six kilometres along the southern coastline of Formentera. The water on this side of the island is intensely turquoise. 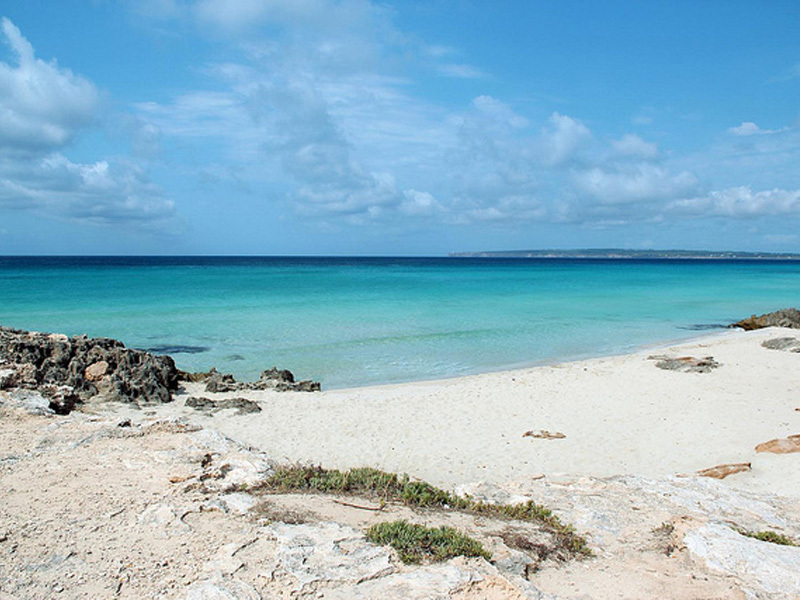 With its crystal turquoise water and fine white sand, Cala Saona is one of the most famous beach in Formentera. This beach is a 100 meters wide inside a fascinating gulf surrounded by unexploited nature. 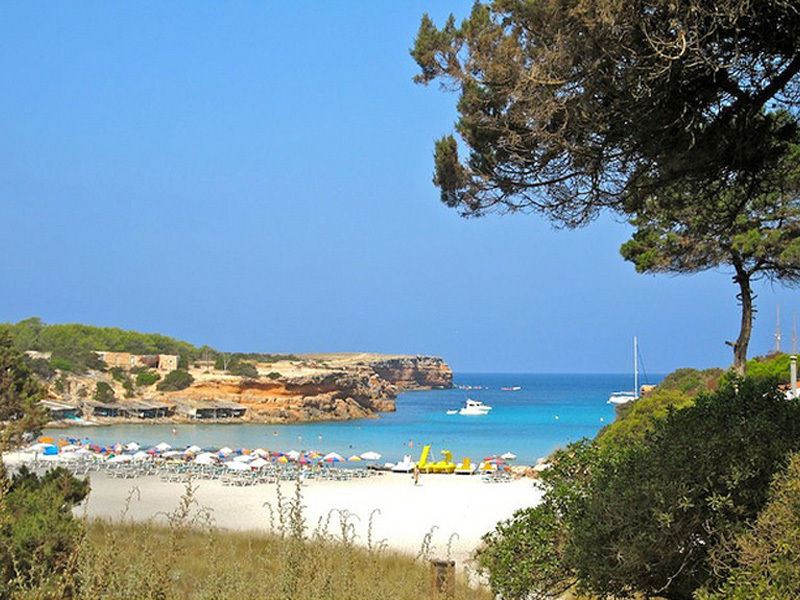 But the beach itself is not the only thing worth seeing: to reach this natural paradise from Sant Francesc Xavier you have to take a beautiful road with rust coloured field on the sides, scattered by blooming fig trees. 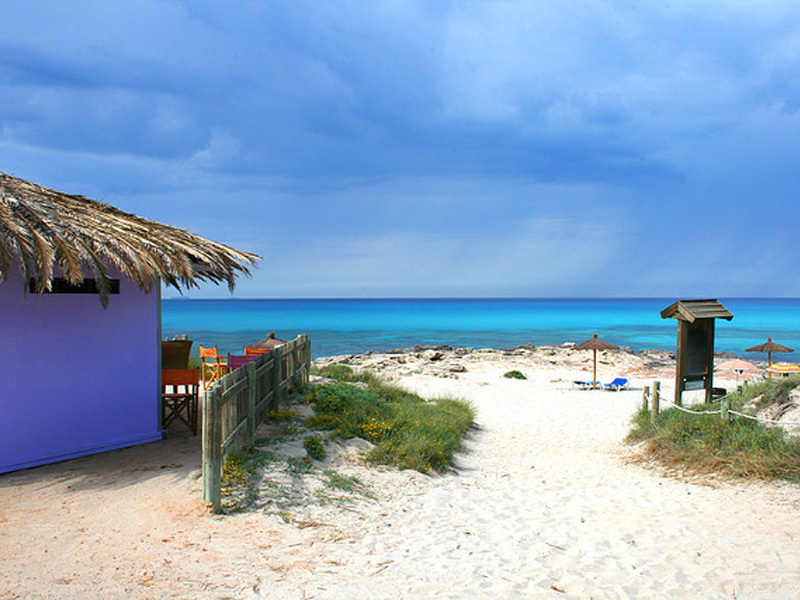 Only after 3 kilometres you will see the beach together with the beautiful landscape of Cala Saona. This beach is situated on the northern coast around a tiny and rocky cavity, two kilometers east of Castell Roma', a large roman fortress. Another remnant from Roman times is the fishermen's port of la Mola. La Mola's cliffs protects and overhangs this little inlet with characteristic fishermen's huts scattered along the coastline. The panoramic views on this side of the island are exceptional. The bay has shallow water ideal for snorkeling and scuba diving.